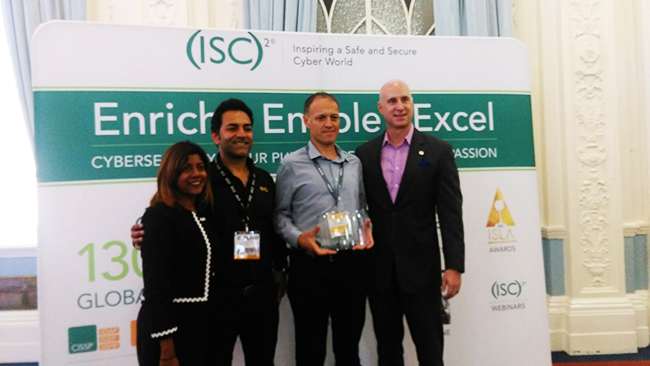 This week Firebrand Training was honoured with the ‘(ISC)² Official Training Provider Recognition Award 2018’ at Infosec Europe. 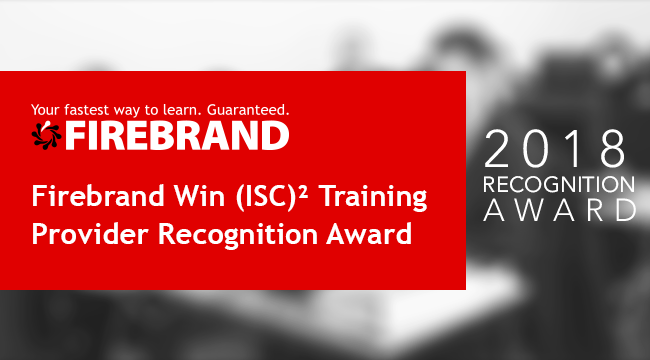 The (ISC)² Official Training Provider Recognition Award recognises Firebrand’s accelerated training across (ISC)²’s comprehensive certification portfolio, which includes industry-leading certifications like CISSP, CCSP and SSCP. Firebrand is the leading provider of (ISC)² training in the UK and has championed their certifications for over 15 years. This award comes as Firebrand approaches 10,000 students trained on (ISC)² products since 2001. At the award presentation, it was revealed that there are now 80,000 (ISC)² certified professionals across the EMEA region. Firebrand is also among the first to train apprentices on (ISC)² products, which are included in cyber security apprenticeship programmes. “(ISC)² would like to place on record the value of the Firebrand Training OTP (Official Training Provider) partnership over the last 15 years, which has supported the professional development of a great number of cyber security professionals in UK, Europe & Middle East,” said Faisal Malik, Head of Business & Market Development EMEA, (ISC)².
Firebrand Training is your fastest way to learn. 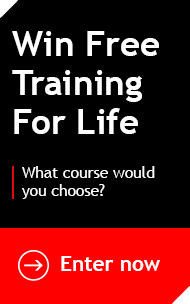 Whether you’re training on Firebrand’s official (ISC)2 courses, data protection, cyber security, cloud or project management you’ll train at twice the speed on all-inclusive courses. If you need professional certification or want quickly develop staff through IT apprentice programmes, Firebrand’s accelerated training is your fastest route.